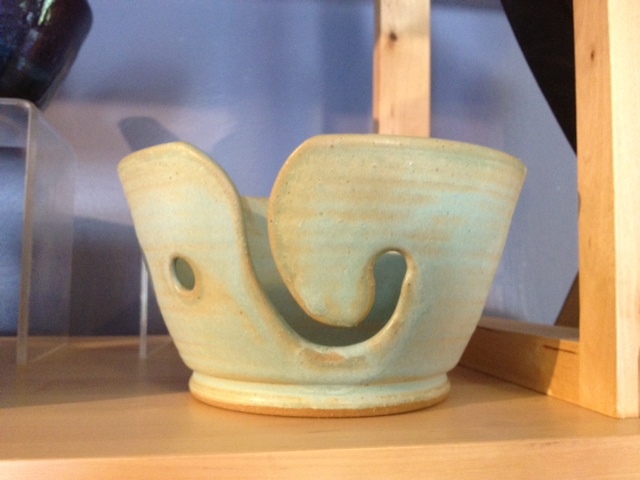 We make pottery of all kinds, porcelain jewelry, shawl pins, and of course, yarn bowls! 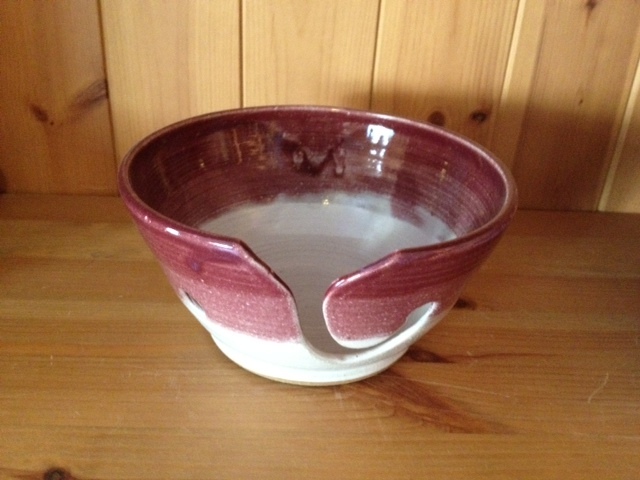 We’ve been making pottery for about 12 years. 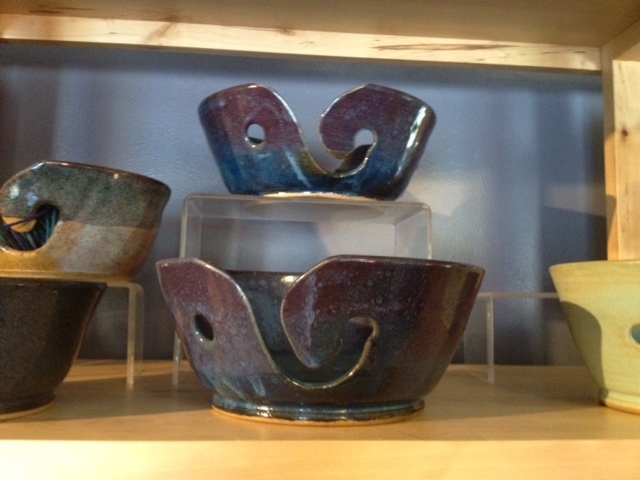 Each yarn bowl is a one-of-a-kind, wheel-thrown creation! I can knit a perfect gauge swatch and STILL manage to make a sweater to fit a small truck.